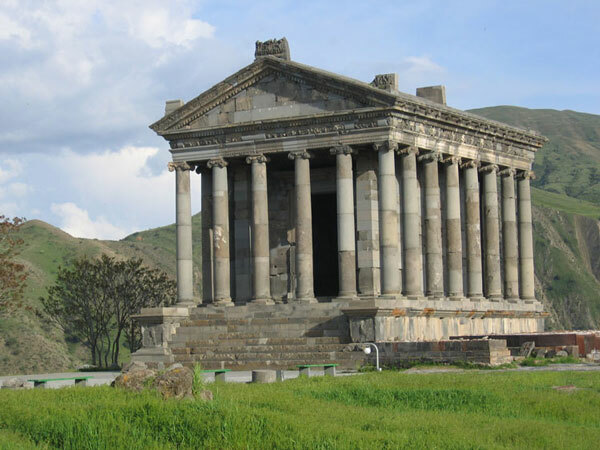 Almost anyone who comes to Armenia visits Garni, and they think it is the 76 AD temple and Roman style baths. Many learn when they visit that the cyclopic stone walls that surround the royal summer residence and temple are were in fact first laid in the 3rd millennium BC by ancestral Armenians who developed the region into one of the greatest metallurgical and trading powers in Mesopotamia and Asia Minor. 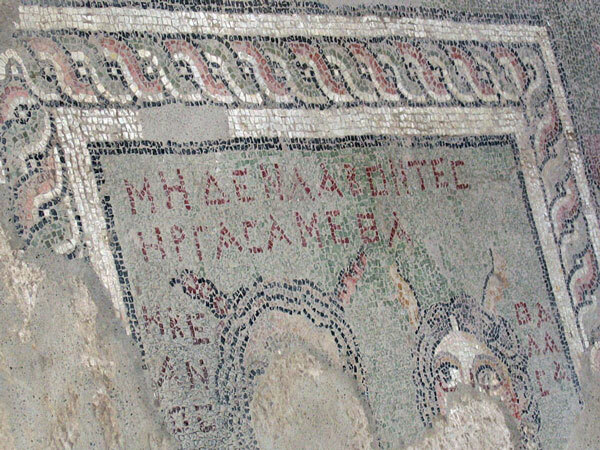 The temple itself was built on top of an Urartian temple, and has the same floor dimensions as the temple of Sushi in Erebuni (5.05 X 7.98 meters). A common feature of sacred structures from oldest times through the Christian era is to orient the structures to the East, that is, to the rising sun. 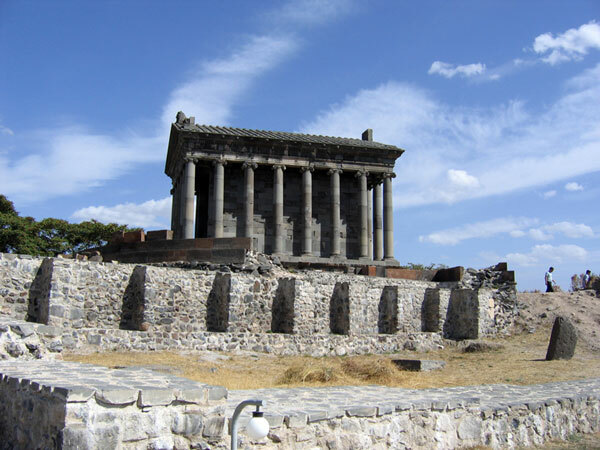 The temple of Garni itself was dedicated to the sun goddess Mythra. Armenians shared Zoroastrian entities with Persia (and by the time of Garni Temple, with the Eastern Roman empire, which had adopted Mythra as a patron goddess), and worshipped fire as an ultimate gift from the gods, an entity in itself. Garni was designed according to the sacred geometry of the day: It perfectly follows the Pythagorean and Platonic theories of sacred geometry in its design, a design for civilization carved form the wilderness. And then there is the Other Side of Garni, the wilderness itself. On a mountain trail between Lake Sevan and the fertile Ararat Valley, 7000 years of history wound its way through the Goghi and Azat River canyons below Garni and left indelible prints on the stone walls. Prints that can only be seen--just as Garni is best seen-- from inside the canyon walls. "When I look up from the canyon to the temple of Garni and see how the sun plays upon the stone and actually makes it glow, then I understand how perfect that world was," Rafael Hakopian, says. The Goghi and Azat Rivers meet at Garni, dropping more than 300 feet below the temple site, creating an impenetrable natural fortress above, and a remarkably diverse eco system below. While dry summer winds whip the mountain plain above the canyon rim, below the river forest is always moist and cool: towering trees form a canopy above the foot paths along the river, and wild boar, deer, leopards and bears call the nature preserve home. Symphony canyon was named for its rock formations, a series of perfectly cut diamond shaped granite, basalt, slag and andesite. Inside the canyon are the remains of a 16th c. bridge, its finely engineered arches at one time leading to a narrow road that surmounted the Geghama mountain range and ended at Lake Sevan. A few yards beyond, past a series of caverns yawning in the side of the canyon walls, the Goghi River joins with the Azat, and to the right is one of the most beautiful sights in Armenia: About 600 meters away and 300 feet above is the temple of Garni. "In the morning it is yellow gold," Hakopian says as he points to the geometrically perfect monument. "In the evening it drips red with the setting sun." Inside the canyon, the upper rim and sky are soon blocked from view: tangled vines wrap themselves around centuries old trees that shade the hot sun from the fetid ground. In Spring, swarms of blue, yellow, gold and violet butterflies nest along the sun-dappled river bed, as many as a thousand might be resting on the banks or the side of a tree. A short distance from Garni is an electric station and picnic area, rarely visited. The electric station is gratefully partially hidden from view with thick trees and greenery, and several huge wild rose bushes. An old wisteria vine clings to the sides of the deserted station, and the pastel purple blossoms hand like grapes, sweetly scenting the air. From here the canyon grows wilder and more beautiful, with occasional meadows and fields of sweet hay and goldenrod covering the patches of open land. In May the river swells and covers some of the natural path, but the terrain is easily navigated. Just after a narrowing in the canyon, the land widens into a dense forest, and it seems to be the most remote place on earth.